500g fresh fruit i.e. apricot, cherry, grape, nectarine, peach, pear, plum, pineapple, raspberry, strawberry. 1. Wash and dry the Rumtopf pot. 2. Wash and dry firm, ripe fruit. 3. Discard stems, seeds, etc. from fruit. 4. Place 500g prepared fruit and 250g sugar into Rumtopf. Add enough rum to cover the mixture by at least 1cm. 5. Cover the top of the Rumtopf with plastic wrap. Add lid. Store in a cool and dark place (pantry or refrigerator) for 3-4 weeks. 6. 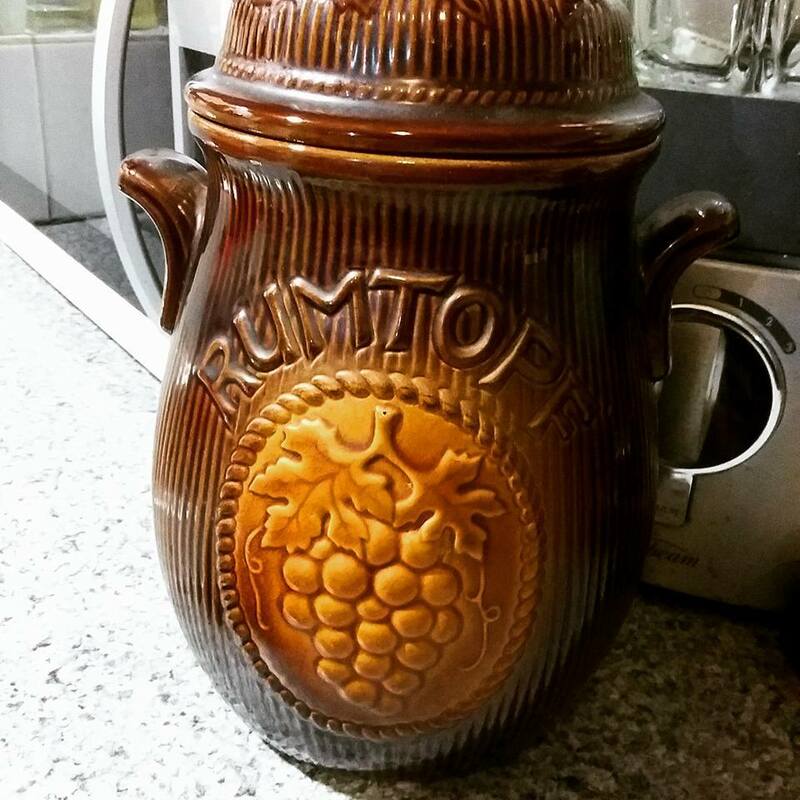 Repeat with a new layer of fruit, sugar and rum (once a month) until Rumtopf pot is full. 7. Wait 4-6 weeks after the final layer has been added (or until desired flavour is achieved). 8. 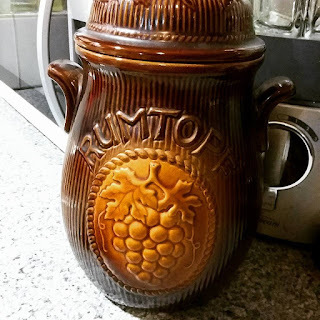 Serve rumtopf fruit with syrup (hot or cold) or strain as a liqueur/cocktail mixer. Open and celebrate on Mother’s Day!